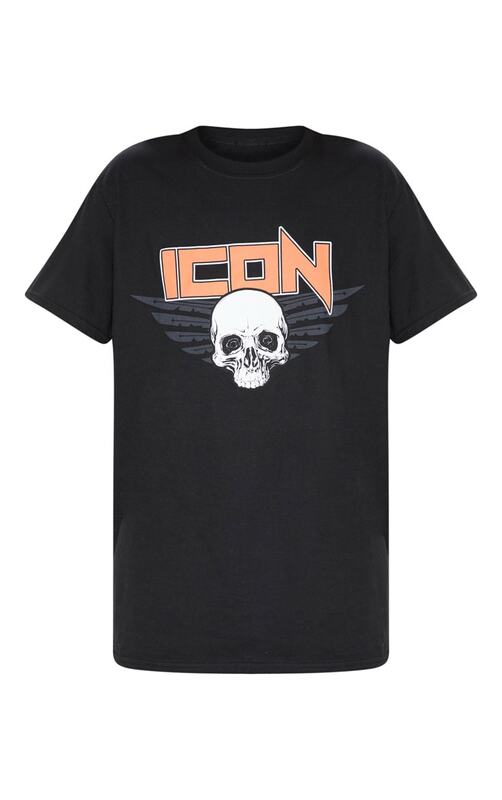 Amp up your outfit of the day with this killer t shirt. 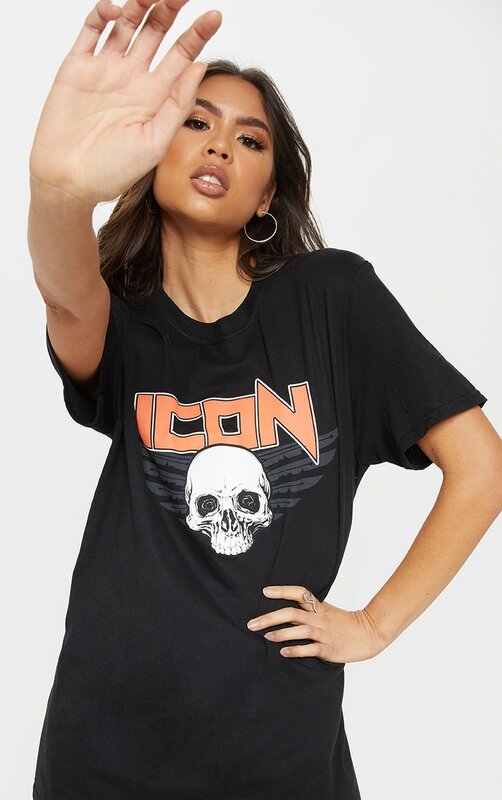 Featuring a black fabric with an Icon slogan and skeleton graphic on the front, cropped sleeves and an oversized fit, what's not to love? 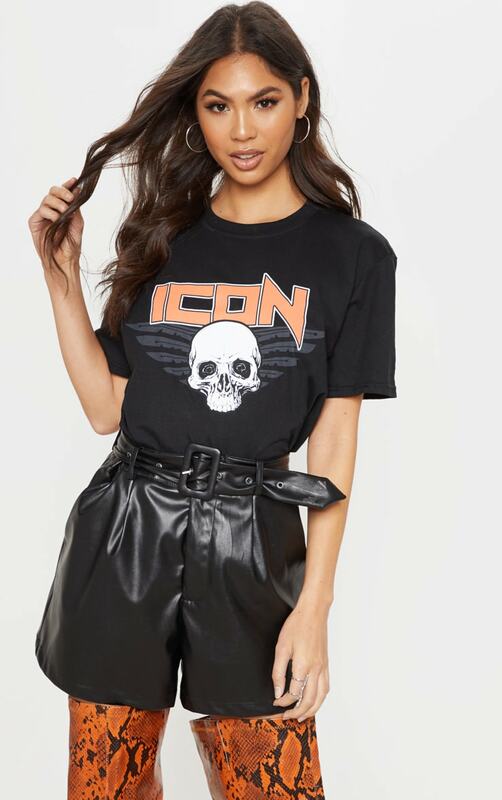 Style with leather shorts and over the knee boots for a look we're obsessing over.